A big team of five runners line-up at the Beaudesert meeting today on an improving soft 6 track. Three-year-old gelding TRACY'S ECHO will have his second career start in the Beaudesert Maiden (1050m), looking to improve after a first-up seventh at Toowoomba on October 6. Stablemates DREAM DANZA and DAZZLING GREY will meet a field of 12 in the Maiden Handicap (1300m), while four-year-old mare IOWA makes her debut for the stable in the Class 1 Handicap (1650m). 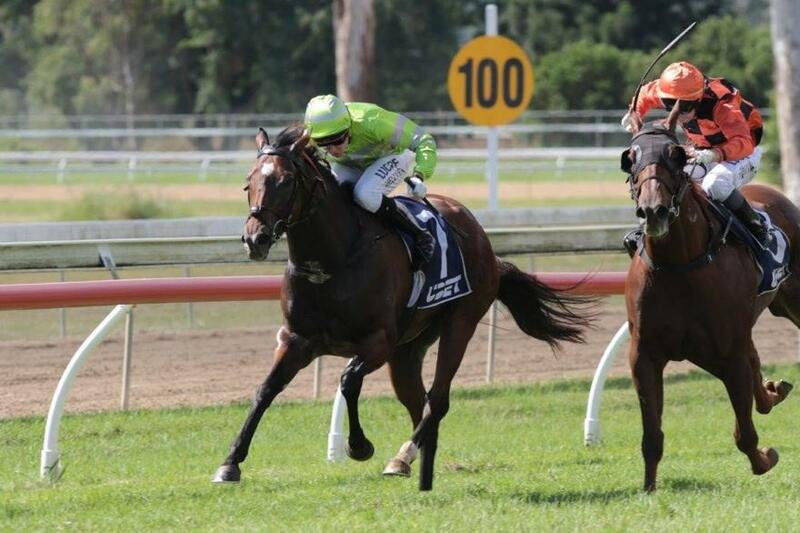 Meanwhile, previous Beaudesert winner KOSCIUSZKO EXPRESS (pictured) resumes in the F&M BenchMark 58 Handicap (1100m). TRAINER COMMENTS: "He should be able to roll forward and show good speed from his draw. He's a speed horse and they went very very fast the other day at Toowoomba so if he can't lead I wouldn't be concerned as long as he's on the bunny in the first two or three, and I think you'll see an improved effort from him today." TRAINER COMMENTS: "She has had a break between runs but I couldn't be happy with her going into this race. She's drawn nicely in barrier 8 and will come in one barrier. Hopefully Nathan can roll forward from that draw and if he leads, well and good and if not, he should be in the first two or three and hopefully she can get them momentum up on the corner and skip a march." TRAINER COMMENTS: Dazzling Grey is kicking off her prep and she needs to get some racing under her belt. She's had two nice half mile trials and the blinkers are on today. They'll probably go too quick for early but I'd like to think they should be running on. TRAINER COMMENTS: "I decided to run Iowa from the bad draw simply because there is quite a few emergencies drawn inside her and at worst, she'll probably come into barrier 10 or 11. She's freshened up nicely and hopefully Nathan can take a bit of a closer spot then where she has been racing. She's very fit and very well and I wouldn't be frightened if he if he started to get going on a bit sooner in and had a moment enough on the corner. TRAINER COMMENTS: "She has had two nice trials and with the scratchings she should come in a few positions. She's got good speed and it's a good race to kick her off in. I expect her to lead and she should race very well if she races up to her trials."